Set a price for new job listings and take payments seamlessly during the job submission process. You can use either Stripe Checkout or PayPal Standard to take payments via your submission form. If you are using PayPal standard, customers are redirected directly to PayPal where they can make payment. Assuming auto-return is enabled, customers are then redirected back where they are shown confirmation of their listing. 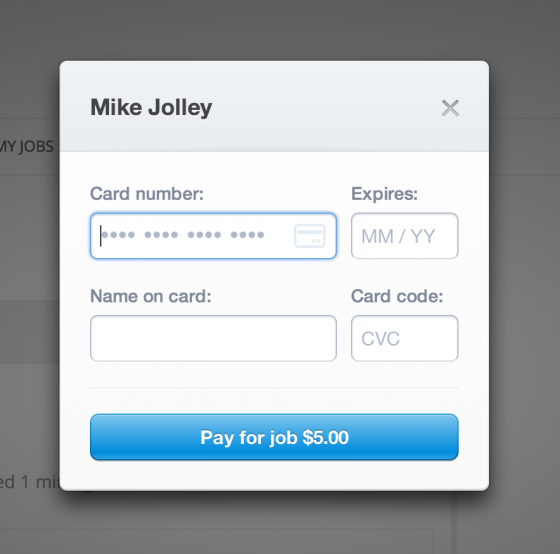 Stripe Checkout lets you show a modal based checkout form for taking credit card payments. Payment is taken instantly and seamlessly. Stripe requires a Stripe merchant account, which is available in several countries. If you are unsure whether your country is supported, you can look it up in the Stripe Documentation. Ensuring SSL is setup on your listing page is recommended to protect your customers when using Stripe.